I received an electronic copy of book at no charge from the publisher for review purposes. No monetary compensation was received. My opinions are not influenced by outside sources. Fifteen year old Colt Shore doesn't feel like anything special. Especially when compared to his nearly perfect older brother, Dixon, who died when he was twenty-two. Yet, the fact the he attends attends a school for secret agents run by the F.A.L.C.O.N. organization, makes him special. Colt receives a startling revelation that his deceased brother is really his father and the mother he never knew is Amber Coltrane, a highly regarded agent at his academy. After the bombshell about his parents, his agent status is activated with what turns out to be a dangerous and exciting mission. His mission involves protecting Thorne and Talya Ellis, a brother and sister team of a pop band, following a kidnapping threat. The group is to perform in Afghanistan as part of a USO tour and Cole must follow them across the world. Just like a row of dominoes, one nail biting event crashes into another culminating into an exciting conclusion. Colt and Talya discover a sinister plot to enslave young women. 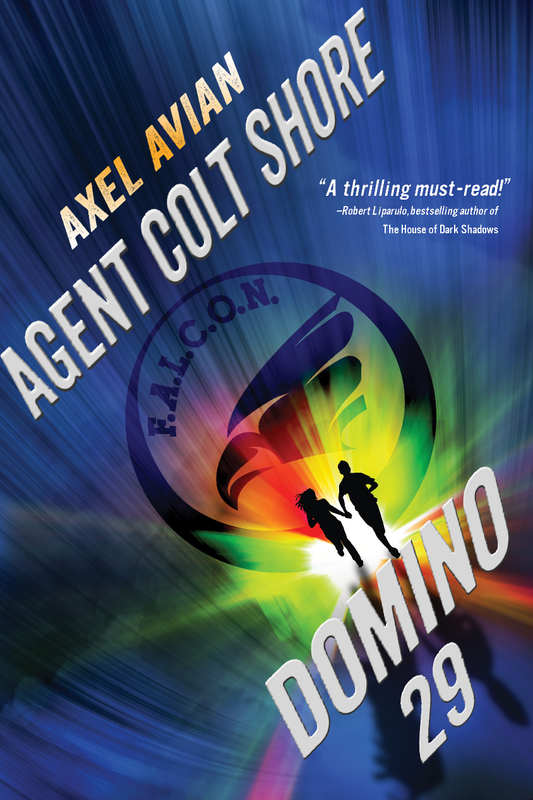 Colt must race across continents, into the mountains of Bavaria, and risk becoming a rogue agent in an attempt to rescue the girls. 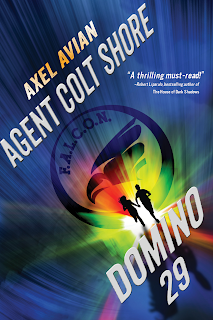 High tech gadgets combine with non-stop action make Agent Colt Shore Domino 29 delivers as a thrilling spy adventure comparable to James Bond but without the adult violence. Teen boys are sure to find a new action hero in Colt Shore. This book can be purchased from the following retailers.